Multiple sclerosis (MS) is a chronic disease that affects the central system. Nerves are covered in a defensive covering called myelin, which additionally accelerates the transmission of nerve signals. Individuals with MS experience inflammation in areas of myelin, progressive deterioration and loss of myelin. While multiple sclerosis is viewed as an autoimmune disorder, the exact cause hasn't yet been found. There are numerous theories with respect to the reason that individuals develop MS. These hypotheses run from vitamin D deficiency to a viral infection. Even consuming excess salt is being looked at as one of the possible causes. However, none of these theories has been proven, and the cause of MS occurrence remains unknown. It's not contagious, and can't be passed from individual to individual. What Symptoms Should Be Considered? Years of dedicated research have led to new treatments for MS. There is still no cure for this condition; however, medications and behavioural therapy enable individuals with MS to enjoy a better quality of life. What Diagnostic Procedures are Used to Detect Multiple Sclerosis? 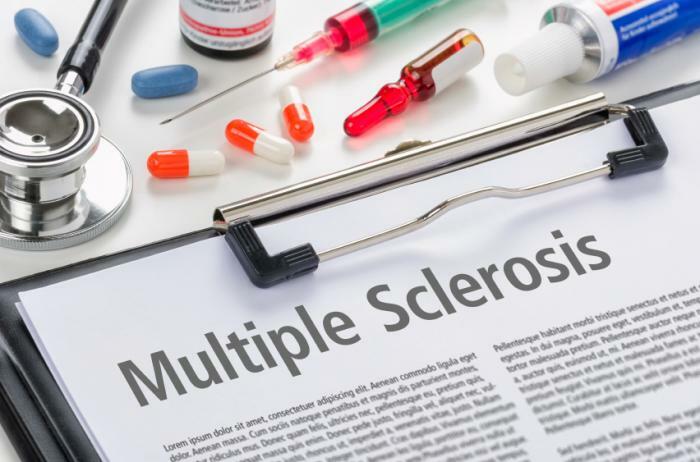 It can be difficult to tell whether your indications may be caused by multiple sclerosis (MS) at first, as a portion of the symptoms can be very ambiguous or like other conditions. Following tests are used to determine the presence of this condition. Neurological Examination Your neurologist will search for abnormalities, changes or loss of vision, eye growths, hand or leg movement, and balance and reflexes. These may demonstrate whether your nerves are damaged due to symptoms of multiple sclerosis. Magnetic Resonance Imaging (MRI) A magnetic resonance imaging (MRI) scan is a painless procedure that uses strong magnetic fields and radio waves to deliver detailed images of the inside of the body. It can indicate whether there's myelin sheath (the layer encompassing your nerves) is damaged or scarred in your cerebrum and spinal cord. Discovering this can help affirm the presence of multiple sclerosis. A standard MRI scanner resembles a tube or passage. The machine is noisy and few people feel claustrophobic while the scan is being done. Evoked Potential Test (EPT) The most widely recognised EPTs test how well your eyes function. Light is thrown on your eyes, while your brainwaves are checked using little, sticky patches called anodes set on your head. It's a painless test and can demonstrate whether it takes your brain longer than ordinary to get messages. Lumbar Puncture A lumbar cut is a procedure to remove a sample of your spinal liquid by embedding a needle into the lower back. Spinal liquid is the liquid that surrounds your cerebrum and spinal cord, and changes in the liquid can help doctors in diagnosing issues with the sensory system. The procedure is done under local anaesthetic, which implies you'll be awake; however, the area where the needle is inserted will be numb. The sample is then tested for immune cells and antibodies, which is an indication that your immune system has been battling an infection or disease. Blood Tests Blood tests are typically performed to rule out different reasons for your symptoms, for example, vitamin deficiencies or an exceptionally rare, yet possibly the same condition called neuromyelitis optica. There's right now no cure for multiple sclerosis (MS), yet it's possible to treat the symptoms with medicines and different treatments. You'll be supported by a group of various medicinal services experts working together. This may include a neurologist (specialist in treating conditions of the nervous system), a physiotherapist, a speech and language therapist, and various different experts. Your care group will incorporate an expert MS nurse, who will generally fill in as your main point of contact.